Vandalised gate leads to missing goats. Have you seen them? It’s thought some of the goats from Ventnor Downs may have escaped after the gates were vandalised at the weekend. 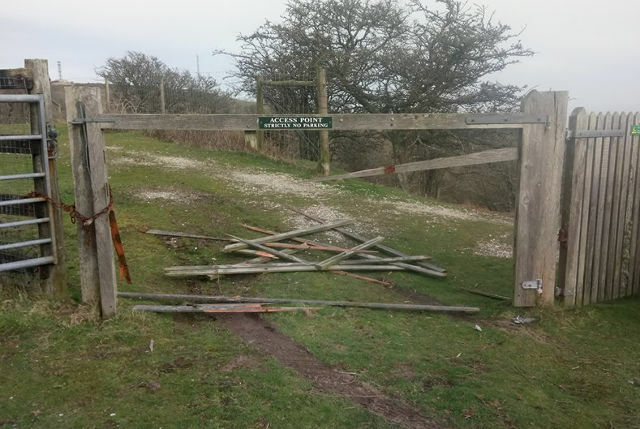 Last weekend mindless vandals smashed up the gate to Ventnor Downs and National Trust (NT) rangers, who look after the after believe that some of the goats may have escaped. 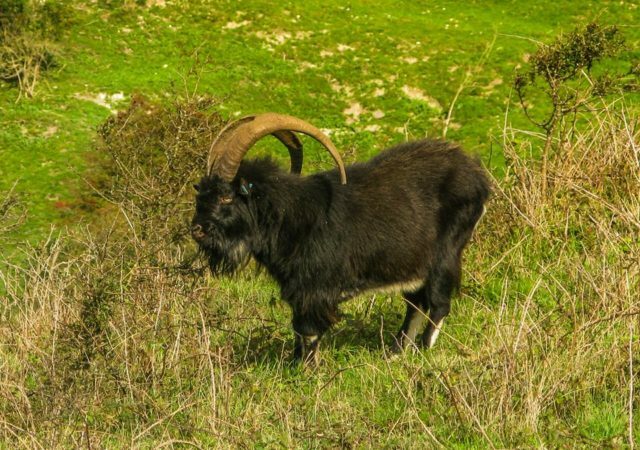 Speaking to Robin from the NT, he added that the goats should be on either Coombe Bottom or Bonchurch Down – if you see them on Wroxall Down or Luccombe Down where the heather is do please let the rangers know. If you see the goats wandering around, please leave them be and let the NT ranger know you’ve spotted them by calling 01983 741020. Please also get in touch with the Rangers or Police (call 101) if you witnessed or know anything about the vandalism.